The Minority National Democratic Congress (NDC) yesterday ‘boycotted’ a commemorative statement made by the New Patriotic Party (NPP) Member of Parliament (MP) for Ayawaso West Wuogon, Lydia Syram Alhassan, on World Health Day which fell on Sunday. It was expected that after the Ayawaso West Wuogon MP had read her commemorative statement to draw the attention of the world to the promotion of health as a fundamental human right both sides of the House would make contributions in support of the statement. However, the Minority members refused to contribute to her statement. The convention in the House is that after a statement is made on the floor by any member, members contribute alternating from one side to the other. But after the Ayawaso West MP had made her statement, three NPP MPs, Dr Bernard Okoe Boye, Samuel Ayeh Paye and Kwabena Tenyase made contributions to her statement. However, none of the Minority members contributed, thereby giving credence to their threat to boycott anything to do with the Ayawaso West MP whose election to the House through a by-election was characterized by violence, with the opposition NDC eventually boycotting that election. 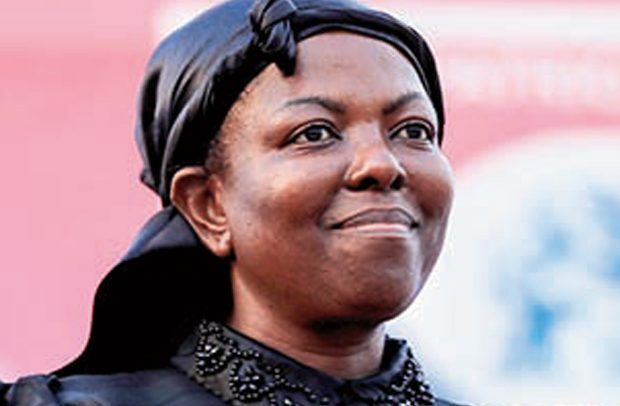 The opposition MPs then described her as a ‘bloody widow’ when she was being sworn into office with the Minority displaying placards to that effect before walking out of Parliament to register their abhorrence for the new MP whom they were blaming for the violence that characterized her election. Even when the Speaker of Parliament, Prof. Mike Oquaye, prompted the Minority Chief Whip, Mohammed Mubarak Muntaka, not only as one of the leaders of the Minority but also a member of the Health Committee of Parliament to contribute to the statement, the chief whip conveniently declined saying “Mr. Speaker, pass it on”. In her statement, the MP for Ayawaso West Wuogon said that the introduction of the ‘Community-based Health Planning Services’ (CHPS) concept is a brilliant concept which is helping many people in the rural areas readily get access to health services. “Prior to the CHPS concept, the health delivery system that was at the base, close to the citizen, was the health centre. Some health centres served population of over 50,000 and were at a driving distance of close to an hour in some cases,” she stated. According to her, a CHPS facility could take care of an average of 5,000 people and is the most decentralized form of healthcare in the country, stressing that the concept has made healthcare in terms of physical facilities almost universal. “Mr. Speaker, access to quality and affordable healthcare is a right and not a privilege. Universal Health Care is not just an issue of the health of citizens, it is in fact a matter of the strength of the country, captured in the health of its people and anchored in the quality of their thinking,” she said. She noted that the pursuit of universal health care for all Ghanaians by 2020 by the Ministry of Health with the blessing of President Akufo-Addo is workable, possible and achievable.